I’m typing this post on my mobile phone, an inexpensive Samsung Galaxy something with a 5″ screen. After playing around with the WordPress admin interface a bit, I’ll start by saying that most things work absolutely fine. If you are logging in with a specific need to update something quickly or add a post draft then you should manage it without much trouble. 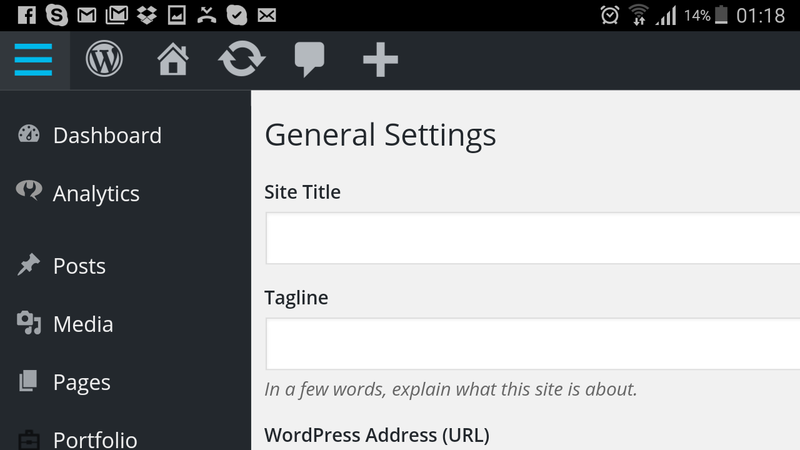 The main hurdle using WordPress on mobile seems to be with plugins and the editor page. Once you have a few extra shortcode buttons it just doesn’t really fit. After creating a new post draft just the act of scrolling down to the editor box while the icons loaded caused me to tap one or two on the way down – leaving me with some accordion shortcodes in the editor. Not at all what you want to happen while editing a complex page or post. I’m sure most websites have a few WordPress plugins, so this is probably going to be an issue. Uploading and inserting media is probably one of the finest parts of the mobile interface. Upon tapping the Add Media button an edge to edge app-style overlay loads up. There are tabs to switch between uploading a file or selecting from your library. If you have some odd need to create a new enquiry form in Contact Form 7 while out and about, then you will actually find that it is a pretty pleasant experience. The Contact Form 7 edit screen has minimal distractions – few superfluous buttons to accidentally tap. The Yoast SEO plugin is tricky to use on mobile. The interface doesn’t fit in portrait orientation so is tricky to craft your titles and meta description accurately. Expect to do your SEO optimisation from your desk later. Modal popup windows are a frequent issue. Many are sized for desktop screens only or jump around when used on a touch device. Overall, I wouldn’t bother trying to get any real work done in WordPress on a mobile device – building pages or even regular writing would not be easy. But if you need to, then you can perform small tasks. Things like adding a new user, changing passwords, publishing existing posts or changing taxonomies should not be a problem.